It’s often hard to imagine our National Heroes as real people – let alone as young people with dreams, aspirations – and the usual growing pains. 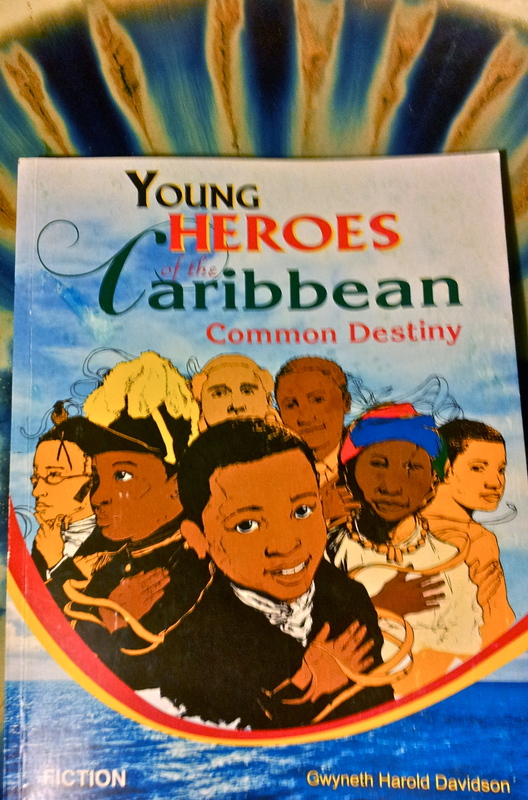 In “Young Heroes of the Caribbean: Common Destiny,” a novel for young adults by Gwyneth Harold Davidson, we meet them one by one through scenes from their younger lives. After all, they were young once, too. Illustrated with clear, dramatic black and white line drawings, the novel creates much fertile ground for the imagination. One of the first things that struck me as I began to read was the author’s ability to create vivid scenes that are at once familiar to the young Caribbean reader and that also include a hint of excitement and energy. The descriptions of the bustling port town of St. Ann’s Bay in young Garvey’s day; the dark valleys and fastnesses of the mountains where Nanny and her brothers grew up; George William Gordon’s city office; the seaside and the countryside are neatly sketched. The scenes are set. 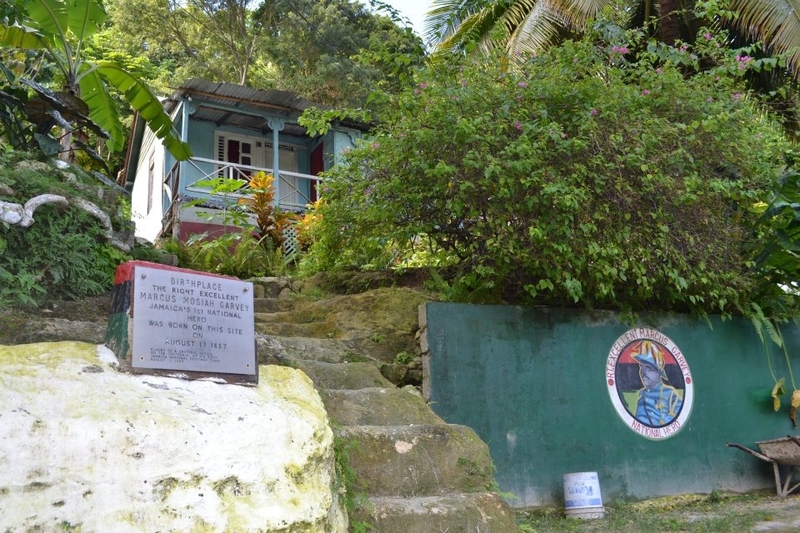 National Hero Marcus Garvey’s birthplace: 32 Market Street, St. Ann’s Bay. Let’s remember this is a work of fiction. The core story is that of Ramiro, a schoolboy growing up fast, living with his mother, who runs a small beachside restaurant; and Gail, a waif-like girl who lives on the beach, without family. The story of Ramiro and his family is interwoven with pivotal experiences of National Heroes: Norman Manley at school sports day (he excelled in athletics); seven-year-old Paul Bogle, left alone to comfort frightened village children after a raid by security forces; sixteen-year-old Marcus Garvey, spurred by witnessing an automobile accident to write to the newspaper about the importance of the law. As Ramiro and Gail struggle to overcome obstacles and balance the confusing, conflicting demands in their lives, the striving of the young heroes offers insights and guidance for the children – and for the reader. Episodic in nature, the book forms a coherent whole by skillfully weaving the experiences of young national heroes into the everyday lives of Ramiro and Gail, as they seek to work out their own places in the world. This is done through dreams (or other means) about the heroes; this transition is sometimes a little awkward, but works for the most part. Thus the book subtly (and not heavy-handedly at all) imparts principles and lessons of self-worth, discipline and above all, leadership. The lessons Sam Sharpe learns from an older slave on how to empower himself through learning, and Marcus Garvey’s observation “Chance cannot satisfy hope in this country” trigger thought and reflection. The budding politician Norman Manley’s ability to inspire and motivate, through his selection of the best relay team for his school, shows his strength as a leader; so does the 22-year-old George William Gordon’s thorough, pragmatic yet humane approach to his fellow Jamaicans. The Jamaican-born Boukman’s motto was “Conquer or Die.” He was a key figure in the early years of the Haitian Revolution. But this is certainly not a lecture on the value of education and ethical principles. There is plenty of action here to keep the young reader turning the pages. Quite a bit of it surrounds horse racing; the author clearly has a thorough knowledge of the sport. Ramiro plays an important role in the success of his father’s horse at a big race. The Maroons are pursued through the mountains; young Gail herself has some adventures and becomes a budding football star (and also quite a good female role model – women more than hold their own in this book). Ms. Harold Davidson did excellent research; this enriches the narrative. I enjoyed details such as the language used by “Queen Nanny” of the Windward Maroons; she commands her group to stand still in the language of her African ancestors (she was born an Ashanti). I also learned that Norman Manley is the only National Hero to have his face in profile on Jamaican coins; the others are full face. “Caribbean” heroes? Well, they are all Jamaicans, except that one whose life intersects with that of Sam Sharpe is the fearless slave Cicero, whom Sam nicknames Bookman because of his interest in reading. 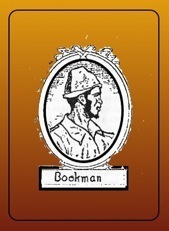 Dutty Boukman became one of the best-known early leaders of the Haitian Revolution; he was killed by the French in 1791. And what of Ramiro, his parents, and Gail? Eventually, they all seem to be heading in the right direction, with determination. One wonders whether the children will grow up to be leaders, or followers. The book ends on a delightful environmental note (which I will not reveal). It’s all about nurturing, not seizing for yourself. This is a stimulating read for young people – girls and boys, from ages six to sixteen I would say. It will likely provoke discussions at home and at school; and help young people to understand themselves and the goals they are striving for. Young Heroes of the Caribbean. Great books in here that I had not heard of! Thanks for linking up on the MCBD linky! Thanks, and I’m glad you enjoyed reading the reviews. I have lots more to write about. So many great books out there! Growing up Fifties I recall Alexander Bustamante “Busta”featured in the Trinidad Guardian. My history lessons at Lodge School ,Barbados. was all English history .Only later did I learn about Mary Seacole and the Crimea with a stature on a par with Florence Nightingale. Oh yes – indeed. Most Jamaicans would not have heard of Sir Geoffrey, I am afraid. We need to educate ourselves more on Jamaicans such as him, whether at home or abroad. Thanks.